When Winston Churchill declared that “success is going from failure to failure without losing enthusiasm,” you’d be forgiven for thinking he had Mayo footballers in mind. It was a full 18 years since they last tasted success in this competition and a mere 68 years this season since they embraced Sam Maguire as their own in 1951, so few outside of Kerry (and maybe a lot of those followers as well) would begrudge James Horan red and green squad of 2019 their victory (3-11 to 2-10) in Croke Park on Sunday afternoon. Typical Mayo, they eked out their win the hard way after allowing Gavin Crowley and Stephen O’Brien in for first half goals, which seemed to tilt the contest very much in Kerry’s favour. A lesser team would have died in the face of such adversity, but the Connacht men thrived and came out from the four point half-time deficit to blitz the much-vaunted Kerry defence with three goals of their own in that second moiety. The emerging Matt Ruane and the ever reliable Diarmuid O’Connor restored Mayo belief with two great goals, before substitute Ciaran Tracey put the iceing on the cake with a third in added time to put the result beyond doubt. And undoubtedly this victory will give added confidence to a squad who has failed so often in All Ireland semi-finals and finals to go on that late summer pilgrimage once again in the hope of achieving the holy grail of Irish sporting pursuit. 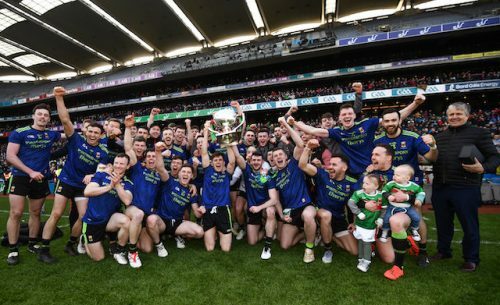 Are Limerick building a dynasty? Are we witnessing a new dynasty in this beautiful old game? 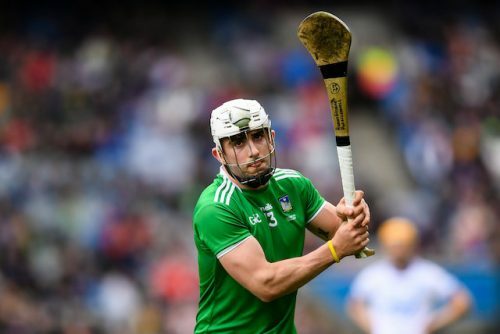 Limerick are flexing their muscles in such a manner that the other counties looking onas as they completed a Liam MacCarthy-League double must be wondering if there is no end to the Shannonsiders’ depth of talent. Unlike Tipperary and Galway who in following Kilkenny’s long dominance seemed happy to win an All Ireland, Limerick and their manager, John Kiely, appear to have a great hunger and ambition to see these latest victories as the start rather than the end achievments of what they’re about. 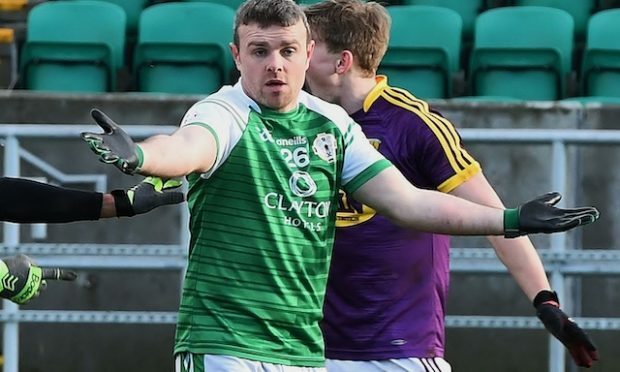 Good, and in particular, great teams are built around a key player and Aaron Gillane is putting his hand up as one of these in the green colours. He scored 1-9 in leading his team onto victory and his goal was of such high quality that it will be shown for years as part of those great ones from history – the John Fenton and DJ Carey’s scores of yesteryar being two such examples. Limerick set about this game in a clinical fashion and were never headed despite a gutsy resilience shown by their opponents who fought to try to stay relevant in this decider at Croke Park. As the winners went about collecting their first League title for 22 years, they got the boost of the Gillane’s super goal to buoy them forward and they deserved to be 1-12 to 0-10 ahead at the interval. 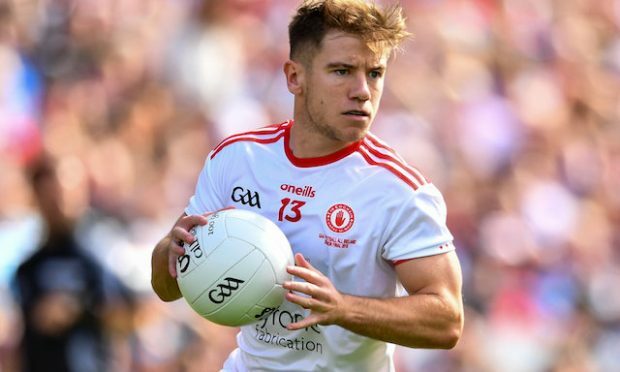 Indeed, they only got better and when a team can bring on players of the calibre of Shane Dowling and Seamus Flanagan, you know the likelihood of second half comebacks are fanciful more than realistic. This was the first time the pair had met in such a decider but there was something of an unreal atmosphere in the opening half as the mostly emplty stadium didn’t provide a proper backdrop to an occasion of this magnitude. Limerick’s short game meant they retained possession very well and made Waterford work hard to try to close them down. After establishing early delight, Limerick got a major shot in the arm with the Gillane goal from the gods after his flick accelerated the pass from Tom Morrissey goalwards at speed of light velocity. Deise stalwarts ‘Brick’ Walsh and Pauric Mahony fired over defiant scores but the winners finished on the front foot with further white flags from Gillane, Tom Morrissey and Graeme Mulcahy to leave them comfortably ahead by 1-12 to 0-10 at half-time. Once the men in green hit the opening three points of the second half, they maintained their momentum, though Waterford kept plugging away with Austin Gleeson’s side-line puck a delight for the Deise following. Stephen Bennett had a great goal chance to liven up proceedings for the neutrals but shot higher than he intended when he was presented with a rare chance to register a green flag. The good news for Kiely is that although suffering a malfunction through Gillane in the free-taking department, it mattered little for his side. But he will have areas to improve on before charging his side up to championship level next month. Waterford got plenty of game time from the league and the hope that new manager Pauric Fanning will have is that they will be in a better position to beat Clare when they host them in the first round of the round-robin championship on May 12. 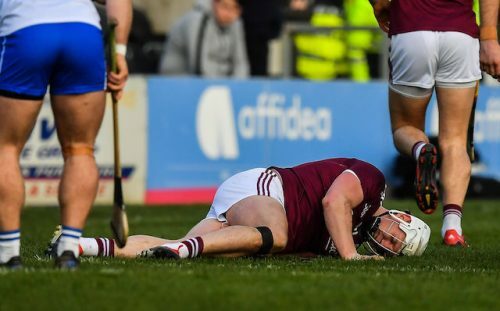 Even before a ball was pucked in Sunday’s final between Limerick and Waterford, the outlook for hurling world’s championship summer had been altered with the news that Galway’s talisman Joe Canning has undergone a groin operation which will keep him out of action until Mid-July. Suddenly from being a team many suspect are trying to come into the year under the radar, Galway are now a team looking to replace their leader. 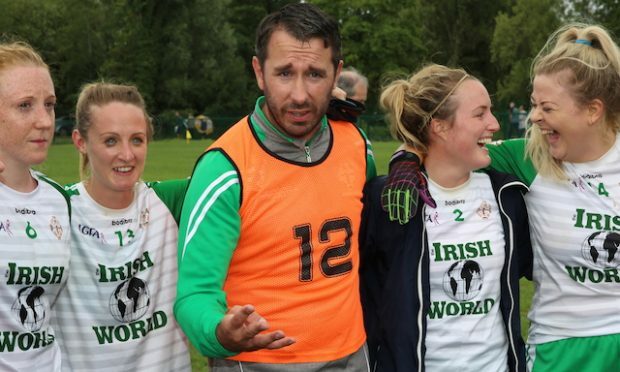 The Leinster chanpionship will almost certainly be over by the the the Portumna man returns – giving Kilkenny, Wexford and Dublin increased confidence when the meet the Westerners in the round-robin series. Almost single-handedly he dragged Donegal back from the precipice on Saturday when Meath built up an eight point lead in the first half to see his county claim the Div 2 title on a two-point margin. His seven points in the 1-17 to 1-15 win were important, but it was his generaliship and ability to be the playmaker as well which changed the course of the game. This was Leitrim’s All Ireland final and their supporters came from all over the UK and indeed America to cheer on their charges in this Div 4 final at Croke Park on Saturday afternoon. Everyone in the global football nation bar Derry wanted the Connacht minnows to win. In the end they came up a little short, but they lost nothing in defeat after putting up a battling performance against a county that should be plying its trade in the top two divisions as of right.